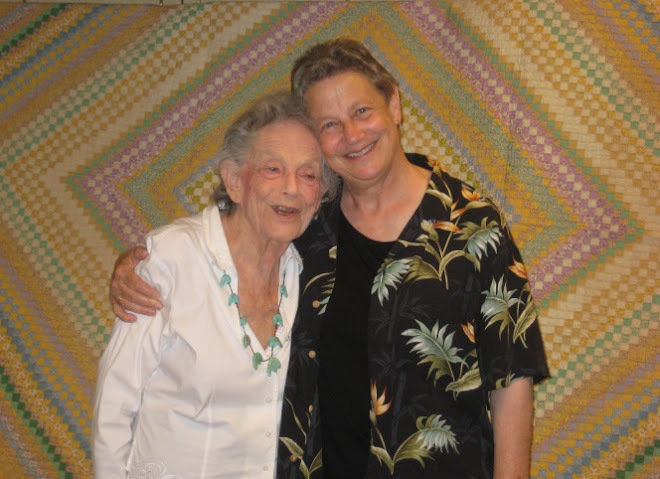 Last Saturday I appraised quilts (made before about 1960) at the San Jose (CA) Museum of Quilts and Textiles. The museum organized this event for the public. I love doing appraisals this way. You never know what is going to "walk in the door." From the funk-a-delic to the sublime.... pretty exciting! 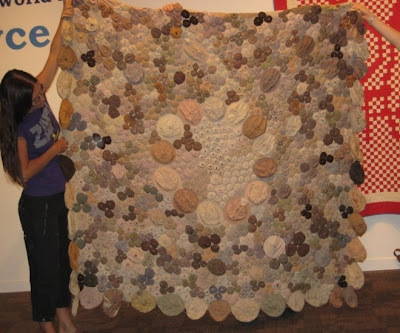 By far, the oddest "Yo-YO" quilt I have ever seen! Made predominantly of silk stockings, probably World War Two era, 1940s. 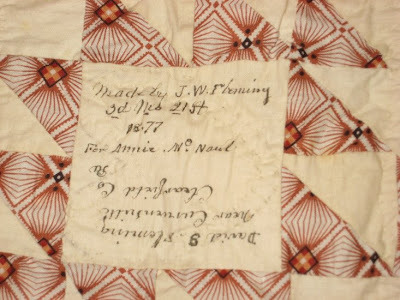 A signature quilt from Pennsylvania, with well documented blocks, dated 1870 - 1877. Family owned. 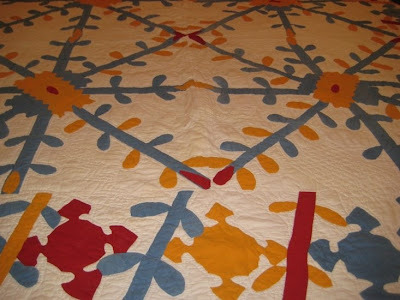 And YES, a true, authentic Baltimore Album quilt , c. 1845, never before shown and right out of the family! The stocking quilt is a hoot! And of course I love the Georgia maverick! I agree...a great day! Wow, it looks like you had a great day , can't wait to see what else you share with us! Oh Lordie-I've seen another! I have the directions, somewhere, about making a stocking Cathedral Window-type quilt. from Chicago-home written directions run on a ditto machine. In the style of a Dr. Bronner's soap label--goes on and on and cites biblical scripture right along with the directions. The Baltimore has me salivating--please an overall picture! I have never heard of someone using stockings for a yo-yo quilt. Too funny! I love the Baltimore Album one. Very nice. it was incredible to see them. I love this one as it looks more folk arty was it? The Baltimore Album quilt is amazing!! What a day! Thanks for sharing, as we say. 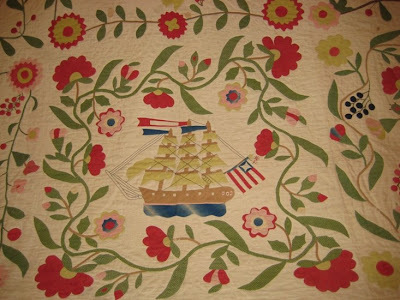 At the museum I work at we have a collection of the Baltimore quilts. A very interesting and lovely collection. Congratulations is a excelent work, is lovely, i dont have a word to discrive this wonderful quilt, one more time congratulations, i am sorry but my ngles is not got i am speak portuguese, i hope understand me. I'm in love with that yo yo quilt. It looks so much like river rocks.